Even with the state out of drought for the first time since 2011, water conservation efforts in California will now just be the norm, experts say. Let's face it, the 2018-2019 water year has been awesome! The numbers tell the story. 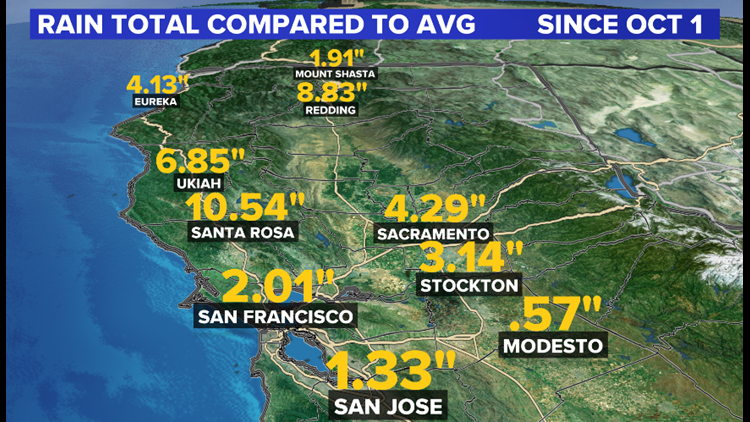 Sacramento is more than four inches above average for rainfall and Stockton is more than three inches above average for rainfall since October 1, 2018. 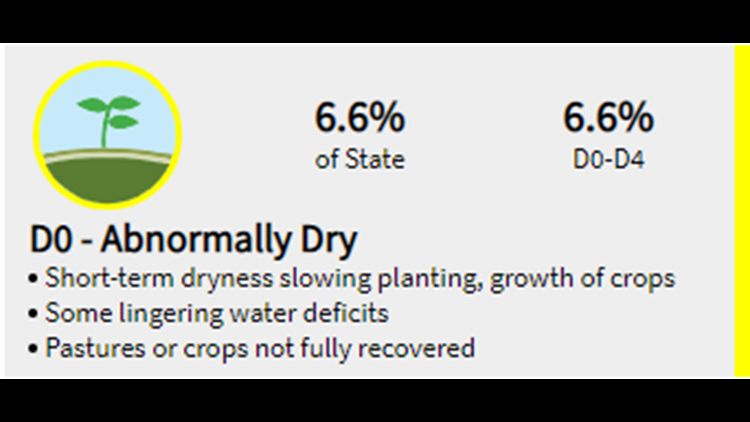 Thanks to all the rainfall along with a very impressive snowpack, California is now completely drought free! The last time that happened was December 2011. There are parts of the state that are considered abnormally dry (pictured in yellow). But that makes up on 6.6 percent of the state. 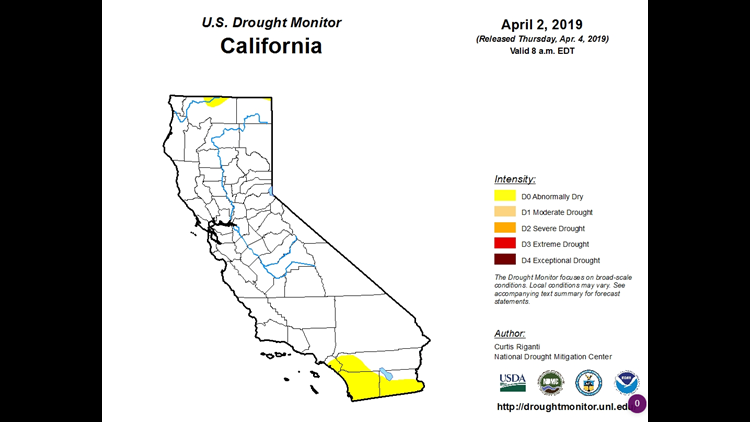 Even with this great news, the California Department of Water Resources says, "the days of taking water for granted is over." Niki Woodard is the Deputy Assistant Director for California Department of Water Resources and she believes the small steps we take at home add up and can make a huge difference for our state. For example, did you know that more than 50 percent of water use is outside of the home? For the average 1,000 square foot home, California residents use about 250 gallons each day for their lawn in the warmer months. The take away is, we've taken our water for granted. So, going forward, Woodard says conservation is now a California way of life. She stresses that California's climate is variable from year to year and we never know what next year holds. The goal is to be smart all year long when it comes to water usage. Continue the conversation with Tracy on Facebook.